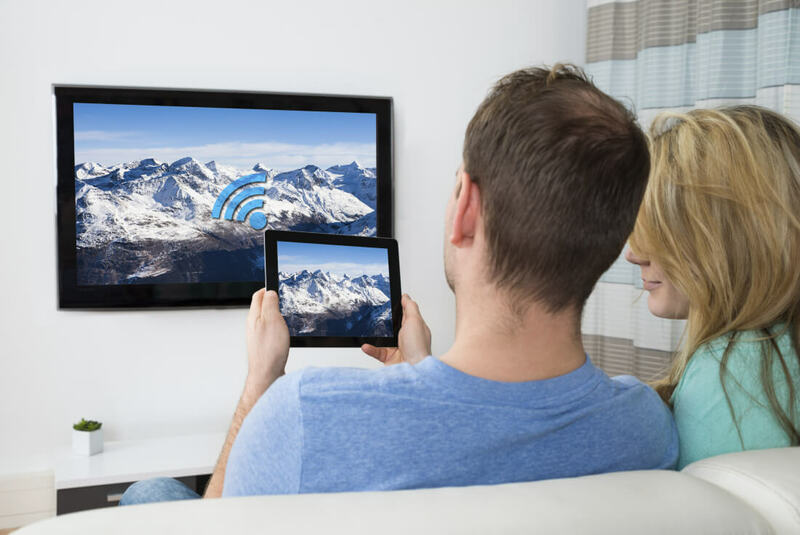 As streaming media sources have become increasingly popular, so have devices that bring Netflix and more to our television screens. Now our TVs, Blu-ray players, and game consoles can all stream online video. With so many options, is it worth buying a Roku or other dedicated streaming player? While a Smart TV gets you the basics, a dedicated streaming media player will let you watch almost anything. Roku is definitely the king of content, with 3,500-plus streaming channels. Admittedly, that includes a lot of channels you probably don't care about, but the point is that Roku covers everything you're likely to want. For anyone interested in iTunes content, a streaming player is the only way to go: Apple TV is the sole device that supports iTunes. And while not every streaming device is the same, most offer more options than Smart TVs. Another advantage of a streaming player is the ability to send content from your computer or mobile device to your television screen. It's a good way to watch content your streaming player doesn't have an app for — like playing Amazon Video on an Apple TV — or to just browse the web on a big screen. You can AirPlay to Apple TV from other Apple devices, Cast to Chromecast and Android TV, and mirror your screen to Roku from Android and Windows devices. One advantage of a streaming player is the ability to send content from your computer or mobile device to your television screen. Smart TVs can't compete with that variety. Though you can expect Netflix and YouTube as a matter of course, beyond that it's a mixed bag. For example, Vizio Smart TVs won't stream Amazon (though neither will Apple TV) and neither Panasonic nor Vizio stream HBO. LG, Samsung, and Sony Smart TVs offer the most variety, but none of the traditional TV-makers compete with Roku on channel selection. Some exceptions do exist: Roku TVs and Sony Smart TVs are both essentially TVs with third-party streaming media players baked in. Roku TVs are made by a variety of manufacturers and integrate Roku's interface and capabilities. Sony integrates Android TV, which, while not our top choice in streaming media systems, is a step up from the average Smart TV. On top of that, LG offers a solid Smart TV interface that allows for screen sharing (from select devices) with its Magic Mobile Connection feature. So, which device wins for content? Definitely Roku (or Roku TV), but other stand-alone streaming players are also solid options, depending on what you want to watch. For a Smart TV, LG, Samsung, and Sony all offer respectable streaming options... but not quite the best. Software in a Smart TV can feel like an afterthought. TV manufacturers are, after all, TV manufacturers — they're working to create the most impressive screens they can, while slapping a "Smart" label on the box to impress consumers. Companies that make streaming media players are more invested in making software that's easy to use. But because each manufacturer uses its own system, this varies from brand to brand. Along with their respectable content options, LG (running webOS), Samsung (running mobile OS Tizen), and Sony (running Android TV) all provide decent interfaces. LG's and Sony's are even customizable. The most notable feature you'll find on streaming players — but few Smart TVs — is universal search functionality. That lets you search multiple streaming services at once, and it's a huge time-saver when you're navigating the multitude of streaming services. Amazon Fire TV, Android TV, Apple TV, Chromecast, and Roku all offer their own universal search function; on the Smart TV side, you'll find it on Sony and Panasonic sets. While Smart TVs focus on what you can watch, Apple TV, Fire TV, and Android TV let you access select games and apps for iOS (Apple TV) or Android (Fire TV and Android TV). Roku has some games, as do certain Smart TVs. But other than the offerings from Sony, which uses Android TV, they're all fairly lackluster. This isn't a big deal if you only want to watch TV and movies. If you're looking for more than movies, however, a streaming player has the variety you want. It's hard to say if a streaming media player is definitively better than a Smart TV because each player and each TV are different. As we've said, LG, Samsung, and Sony all produce Smart TVs with good interfaces and a respectable content selection, which makes them competitive with streaming media players. Because Roku TV and Sony Smart TVs have integrated Roku and Android TV players, respectively, those Smart TVs are just as good as having a stand-alone device — but for everything else, it's a toss-up. In the end, what's better really depends on what features you want. Unless you just can't deal with another remote, a stand-alone player is typically a better way to stream to your TV. When shopping for a new TV, you'll be hard-pressed to find one that isn't Smart — meaning you're likely to have Smart features even if you won't use them. If you're on a tight budget, even if your Smart TV isn't the best way to get streaming media, it's probably good enough. However, the Chromecast, Fire TV Stick, and certain Roku products cost less than $50. (During the holidays, you're likely to find them for much less than that.) So why settle for a potentially second-rate Smart TV when you could have a streaming media player? Unless you just can't deal with another remote, a stand-alone player is typically a better way to stream to your TV.